In October 2010 East Cheshire Council put out to tender works totally £147 million to improve the existing road infrastucture. Atkins, Amey, EnterpriseMouchel and Ringway have all submitted PQQs for a contract which covers highways maintenance works and small civils schemes in Cheshire. In addition, a joint venture of BAM Nuttall and Capita are on the shortlist. East Cheshire were looking for a partner that can deliver maintenance works for roads and pavements along with structural work, surfacing and other major schemes. The scope of the contract includes routine and reactive maintenance on carriageways and footways as well as structural repairs, surfacing and capital schemes. In a similar style to a MAC contract the successful bidder will also have to provide professional services such as design work. In June 2011 Ringway Jacobs won the contract. Their partnership with Cheshire East's highways service was approved, delivering savings of more than £1 million per year. The company will take over the highways service provision, from current provider BAM Nuttall, on October 6 2011. Cheshire East Council will retain an in-house team that will work closely with Ringway Jacobs to develop the partnership and oversee the running of the highways service. Approval was given by Cabinet on June 6, 2011. Your astuteness in assessing our needs, attention to detail, and excellent planning skills, were complimented by your desire to please. A builders guide to gaining planning consent. Five firms remain in the running for Cheshire East Borough Council's £147 million highway services contract. 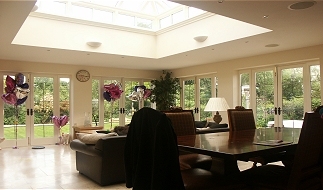 As reputable builders we have completed a wide range of building projects through-out Cheshire and South Manchester. Our stylish new homes demonstrate our commitment as experienced house builders to innovation and exceptional craftmanship. Attention to detail is the key to good kitchen design. 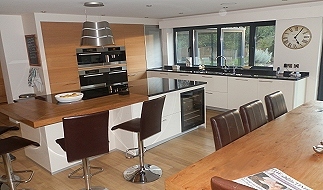 We work closely with you through out, using the best materials to create kitchens of excellence. 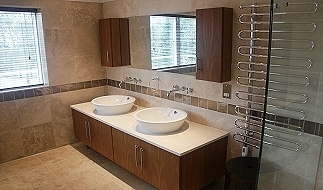 Unique bathroom suites to give your home added luxury. Choose the right bathroom furniture, tiles & accessories to make an indulgent space.